LectroFan micro offers ten unique digital sounds for better sleep and sound masking. You can choose from five different fan sounds and four variations of pure white noise, plus an ocean sound. All sounds can be personalized with pinpoint volume control, from a whisper to many times louder than mechanical fan based conditioners. You can enjoy the flexibility of two power options to ensure your LectroFan micro is always charged, including a USB power cable option or simply use the internal rechargeable battery. 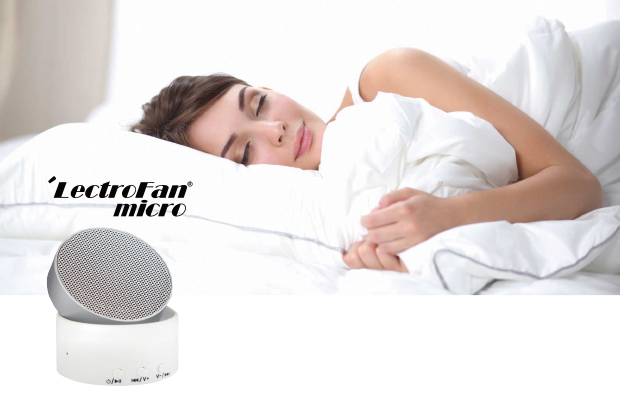 The LectroFan micro can last up to 16 hours in sleep-sound mode playing fan sounds and white noises or up to six hours in Bluetooth wireless audio mode. Bring the LectroFan micro on the go for great travel sleep and sound masking plus use for portable music fun!